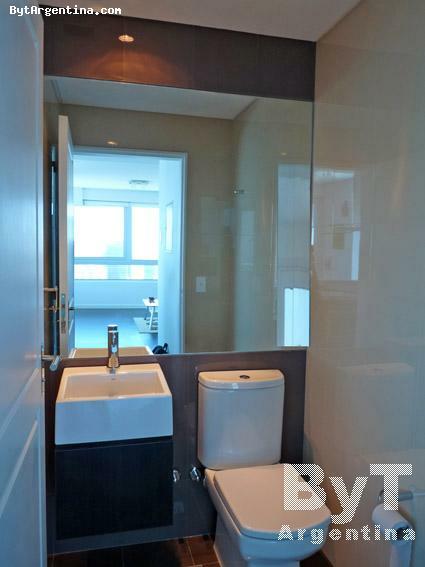 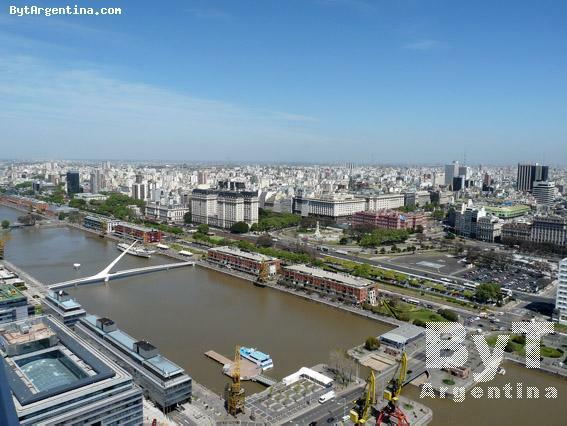 Spectacular one-bedroom apartment on the 42nd floor offering amazing views on the city, the docks, the Womens Bridge and the river. 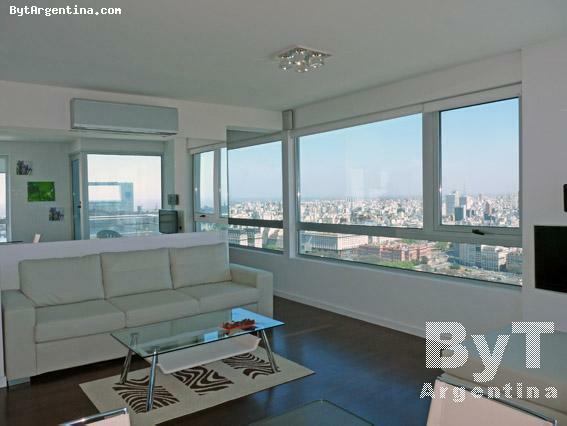 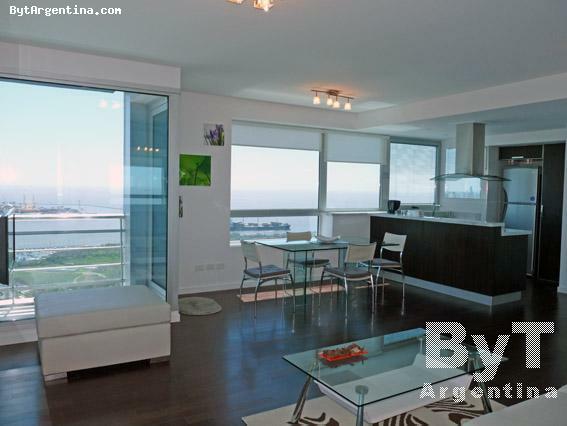 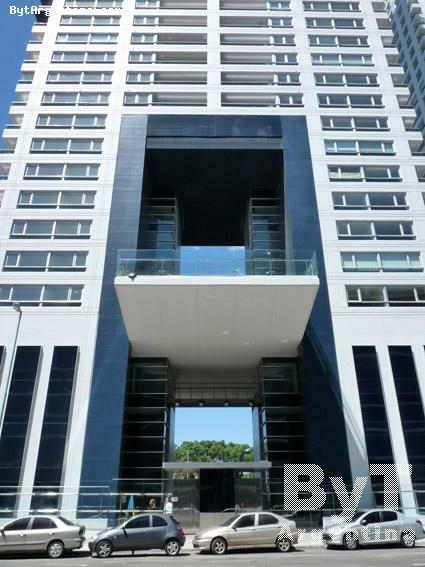 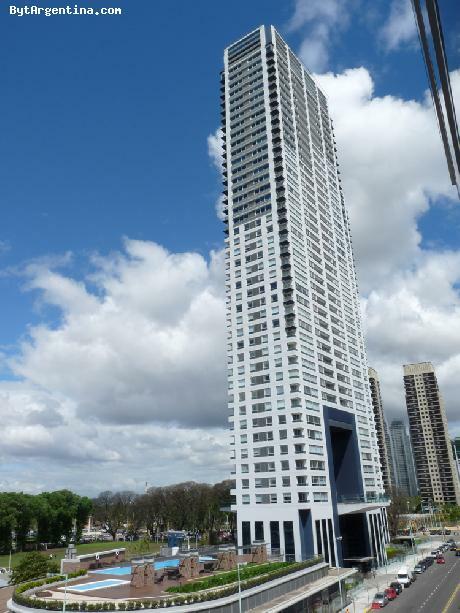 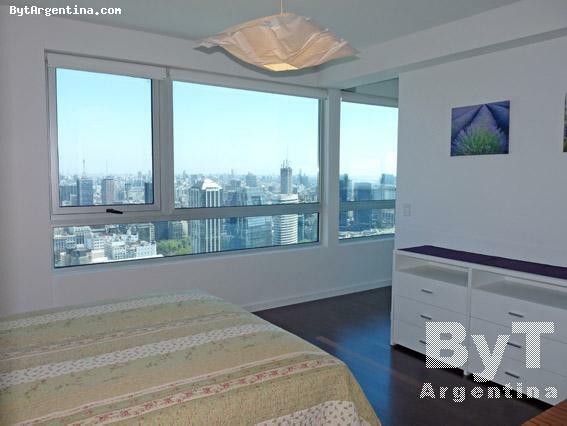 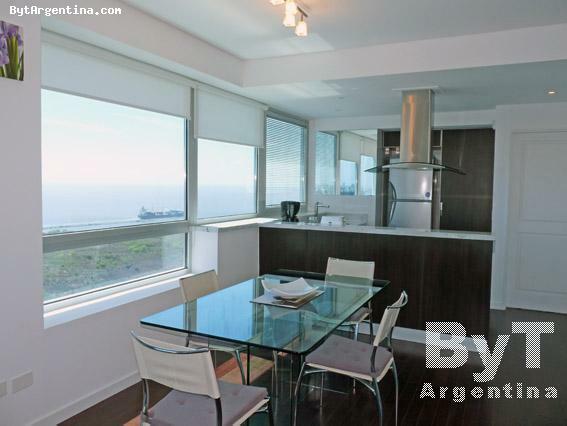 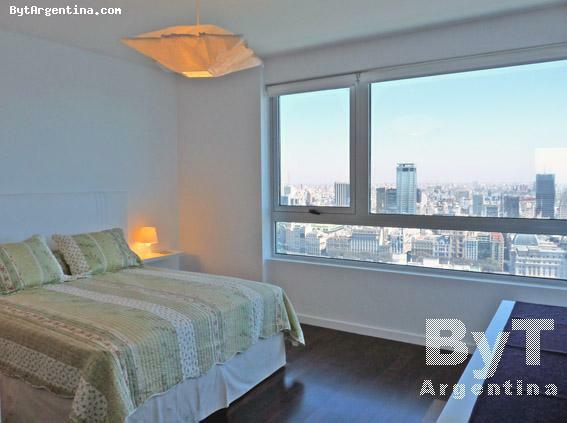 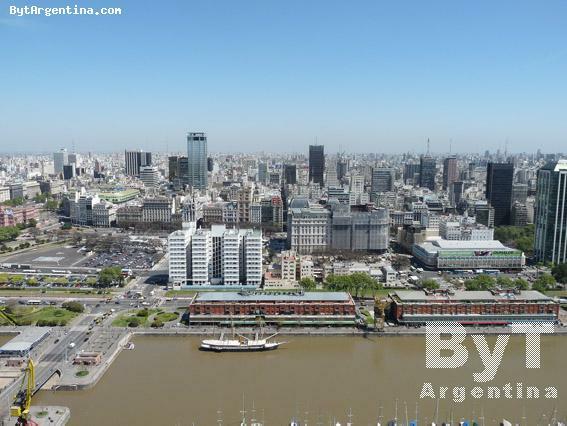 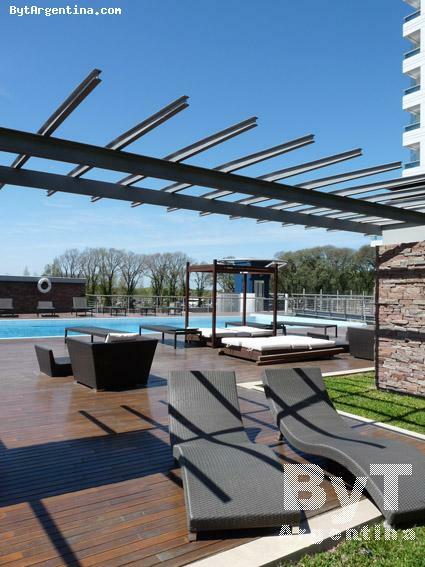 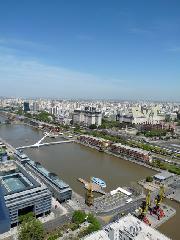 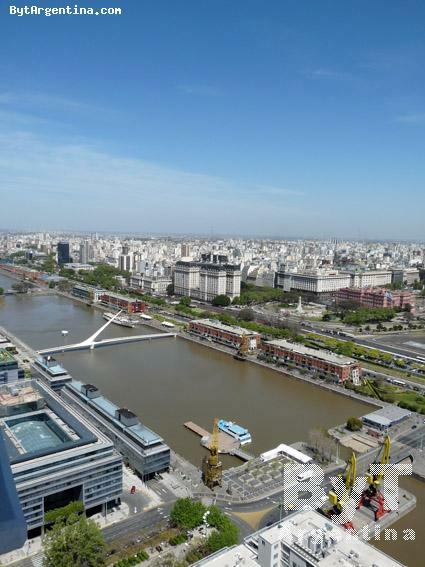 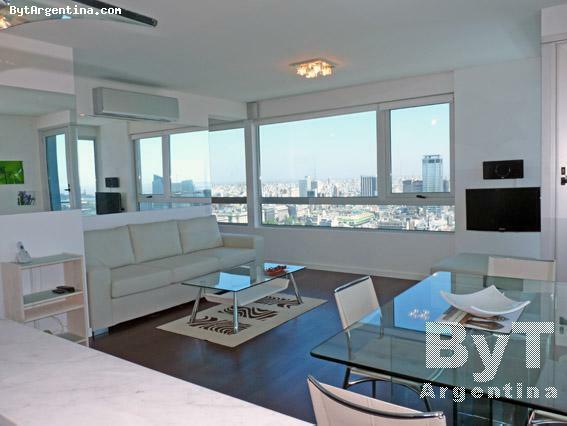 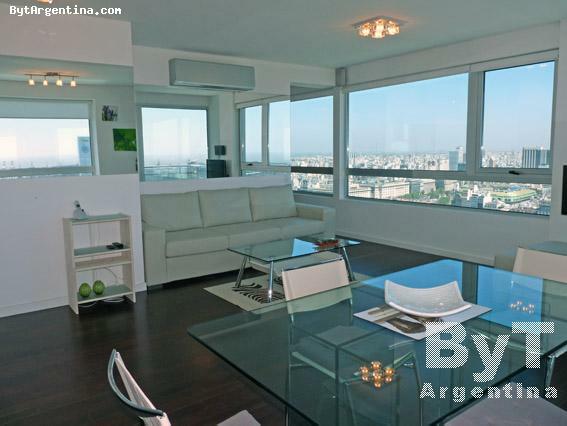 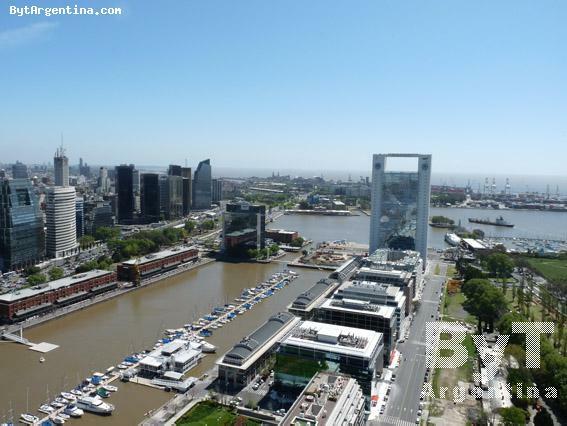 located in the Puerto Madero neighbourhood, the newest in Buenos Aires, close to the most important attractions such as fine restaurants, pubs, the ferry boat pier, the Catalinas business centre area and the ecological reserve. 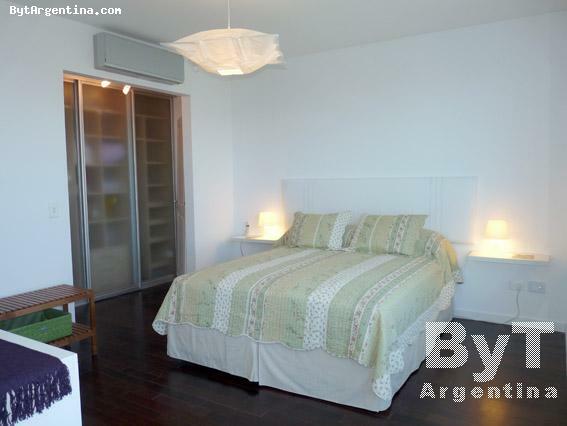 The flat offers a bright living-dining room with a sofa and dining table for four people, one bedroom with a queen size bed, and en suite full bathroom with jacuzzi-tub, one half bath, a fully equipped american kitchen and one balcony. 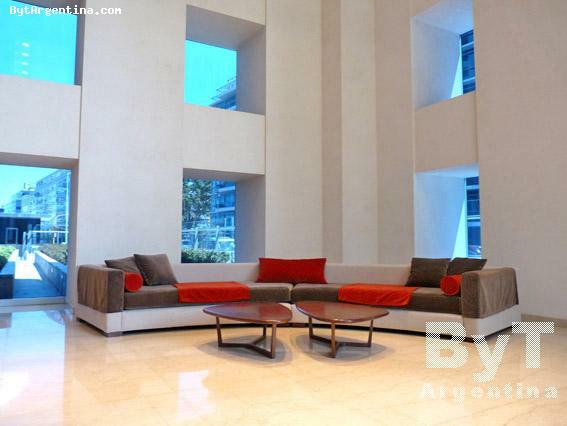 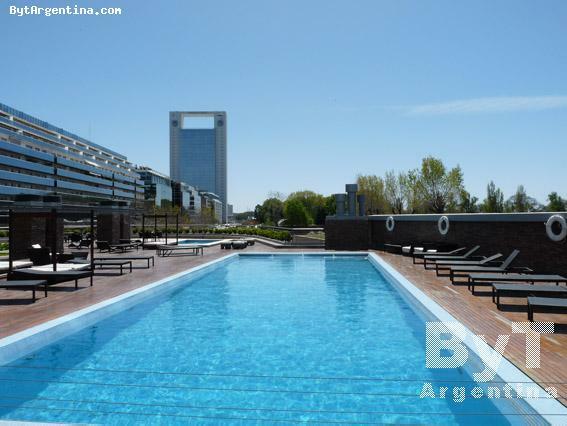 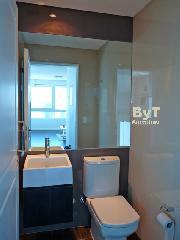 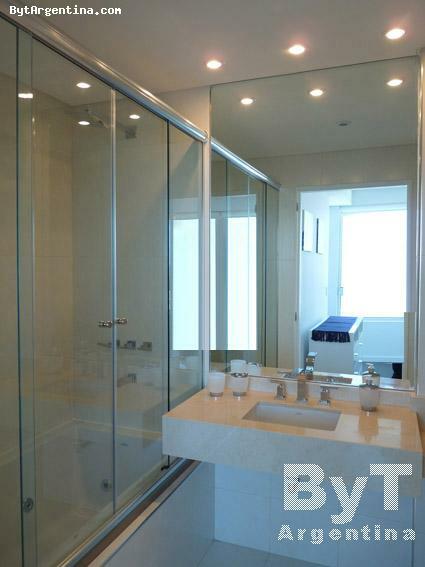 The building has 24 hours doorman, a large swimming pool (available only in summer season), gym, laundry and solarium. 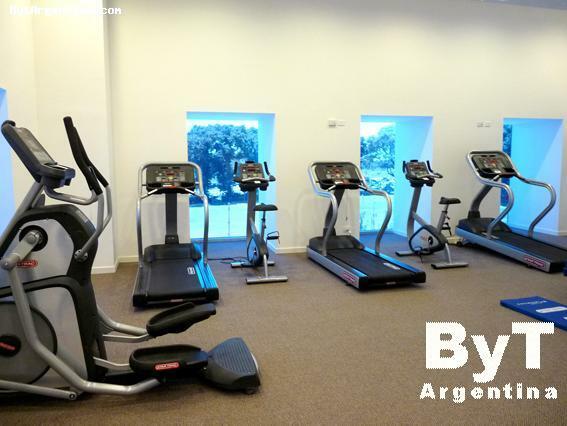 The apartment is equipped with Wi-Fi internet access, cable TV, DVD, stereo, air conditioning, fridge with freezer, microwave, dishes, kitchenware, linens and towels. 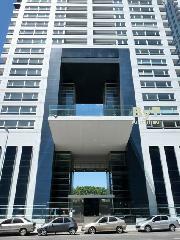 A great option, sunny and comfortable in a modern brand-new building with an excellent location.